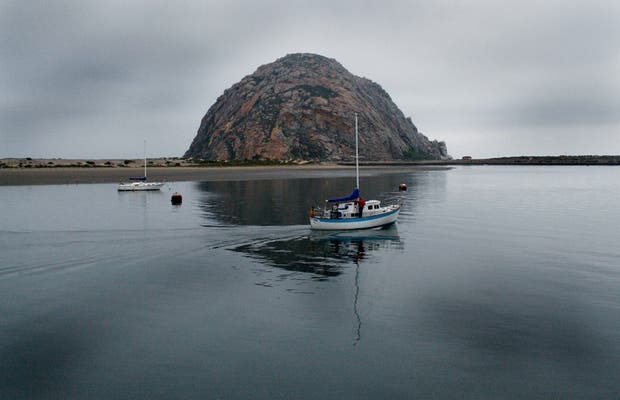 Do you like Morro Bay? I was driving all day from Los Angeles along the coastal road towards San Francisco and I kept looking out the window at the suburbs of Los Angeles. It's a bit of a monotonous landscape but maybe interesting if you're not used to it. I had wanted to discover beautiful places to photograph but my hope was lost by the end of the day. I stumbled through the dark of the night long before reaching my destination and without having encountered any spectacular setting. I saw a sign that said "Morro Bay" and decided to find a motel and rest. The darkness had invaded everything and I could barely catch a glimpse of the ocean. The smell of the sea and the song of the sea lions were the only signs of its existence.